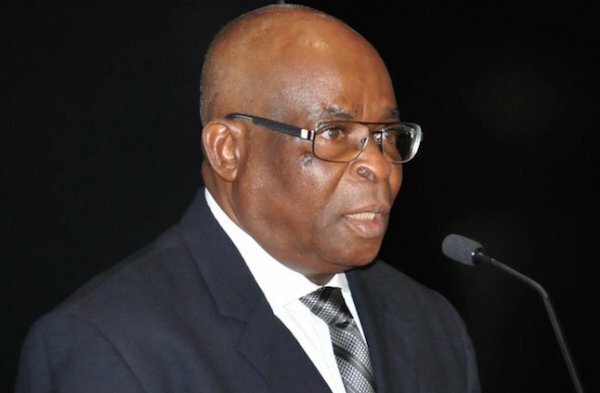 The Chief Justice of Nigeria (CJN), Justice Walter Onnoghen has directed heads of the divisions of courts to establish a special court for corruption and financial crime cases. This, he explained will curb the unnecessary delay associated with the prosecution of such cases. In addition, the CJN has further directed heads of courts to compile and forward to the National Judicial Council (NJC), comprehensive lists of all corruption and financial crime cases with them. Justice Onnoghen disclosed the measures Monday at the special session of the Supreme Court where he administered oath on 29 new Senior Advocates of Nigeria (SAN). Speaking in the presence of Vice President Yemi Osinbajo, former Vice President Alex Ekwueme and other dignitaries including state governors and past Chief Justices of Nigeria, Justice Onnoghen said they were aimed at supporting the fight against corruption of the present administration. In order for the National Judicial Council (NJC) to monitor and effectively enforce the foregoing Policy, the CJN announced that an Anti-Corruption Cases Trial Monitoring Committee will be constituted at the next Council meeting. Justice Onnoghen further directed Heads of Courts to clamp down on both Prosecution and Defence Counsel who indulge in the unethical practice of deploying delay tactics to stall criminal trials. “Heads of Courts have been directed to designate in their various jurisdictions, one or more Courts, depending on the volume of such cases, as Special Courts solely for the purpose of hearing and speedily determining corruption and financial crime cases. “Where such cases come on appeal, to either the Court of Appeal or the Supreme Court, Special Dates on each week, shall be fixed solely for hearing and determining such appeals. The CJN noted that the judiciary cannot win this war alone; hence the need for collaboration and interface with stakeholders in this noble cause. “We are under no illusion that the fight against corruption would be an easy one, as we are already aware that when you fight corruption, corruption fights back; but we are determined to win it. We require all hands to be on deck to fight this monster. “We in the Supreme Court, having reduced the pre-election appeals in the course of the Third Term of the last Legal year, will devote much of this First Term in dealing, by way of task work, with the identified eighteen (18) EFCC, ICPC, and Economic Crime cases alongside the normal Civil, Criminal, and Political cases,” he revealed. The CJN observed “We must not lose sight of the indispensable role of the judiciary in the fight against corruption. Justice Onnoghen said he was determined to redeem the battered image of the judiciary. “Any judicial officer found wanting would be dealt with decisively, and shown the way out swiftly. It is therefore for this reason that the independence of the judiciary must be entrenched if we are to hold the trust and confidence of the citizens of Nigeria. He noted that although the Administration of Criminal Justice Act contains many commendable provisions to speed up the process of criminal prosecution generally, it is clear that we still need to employ more strategies to support and strengthen this law in fast tracking the criminal justice system. On his part, the Attorney-General of the Federation (AGF) and Minister of Justice, Abubakar Malami (SAN) applauded the vigorous process of reforms aimed at re-positioning the nation’s judiciary to play its role in a more humane and efficient manner. Malami also acknowledged Justice Onnoghen’s Circular on Practice Direction dated May 28 on the compulsory enforcement of Arbitration provisions in contracts by the courts in order to promote faster commercial dispute resolutions and foster greater confidence in the judicial system by domestic and foreign investors.